Algae blooms grow on the surface of Lake Evergreen. Algae, which can affect the taste and odor of drinking water, are a problem at both Lake Evergreen and Lake Bloomington, from which the city draws its drinking water. Now, ISU plans to establish a Center for a Sustainable Water Future to make collaboration easier. Joan Brehm, an ISU sociologist who is working on the effort, said the center will allow for a multidisciplinary approach to water issues with a view toward creating real-world solutions. As envisioned, it will include experts in agriculture, politics, government, and even the fine arts. Brehm said the center will go beyond the work being done at other university water initiatives by stressing civic projects and community outreach as well as research. Water scarcity and quality is a growing concern, globally, nationally and in Illinois, Brehm said on GLT's Sound Ideas. “Most of the areas of highest stress tend to be in sub-Saharan Africa and parts of Asia, but we are seeing areas of water stress in the U.S., in particular, the Southwest. But actually, when you look at the map of the U.S., we have water stress in Illinois as well,” she said. “There are some communities west of Chicago that due to old water law and policy, they are unable to tap into Lake Michigan as a source of water. They draw from an aquifer, and that aquifer that feeds that Chicago metro area and on up into Milwaukee is rapidly declining," she added. Normal draws its water from a separate underground aquifer, and Bloomington’s water supply comes from Lakes Bloomington and Evergreen. Neither are currently experiencing water stress, according to local water officials. Sociology Professor Joan Brehm says ISU's planned center on the future aims to work on solving real-world problems of water locally and around the state. “We tend to take water for granted (locally)," Brehm said. But she warns an endless supply of clean water isn’t guaranteed. “You look at what happened in Flint, Michigan, with lead in water and in Toledo, Ohio, with (toxic) algae blooms. Those things can happen here, too,” she said. 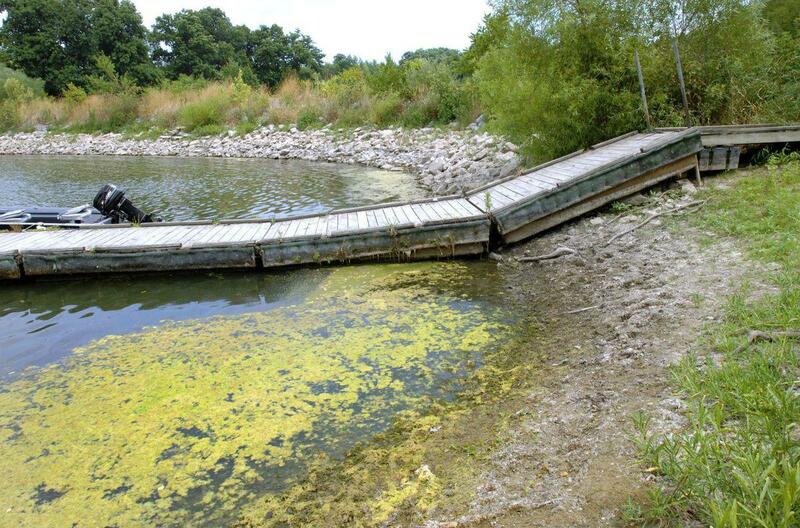 Bloomington is also in a constant battle with algae, which result from high levels of nitrogen and phosphorous that can seep into the water supply from farm fertilizer runoff. Algae can give water a bad taste and odor and can prove toxic in extreme cases, as they did in Toledo. Brehm said several ISU professors and graduate students are currently working on a number of water-related issues, including stream ecology, the effects of climate change on the water supply and waste water management and treatment. “We have a body of expertise, but (what) we don’t have is a way to bring that expertise together to help our local communities, our region, the state and the globe,” Brehm said. Several university centers already work on water-related issues. The Water Sustainability Initiative at the University of Iowa is a model ISU professors are studying. It has been operating for 10 years. Brehm said ISU wants to try some different approaches. 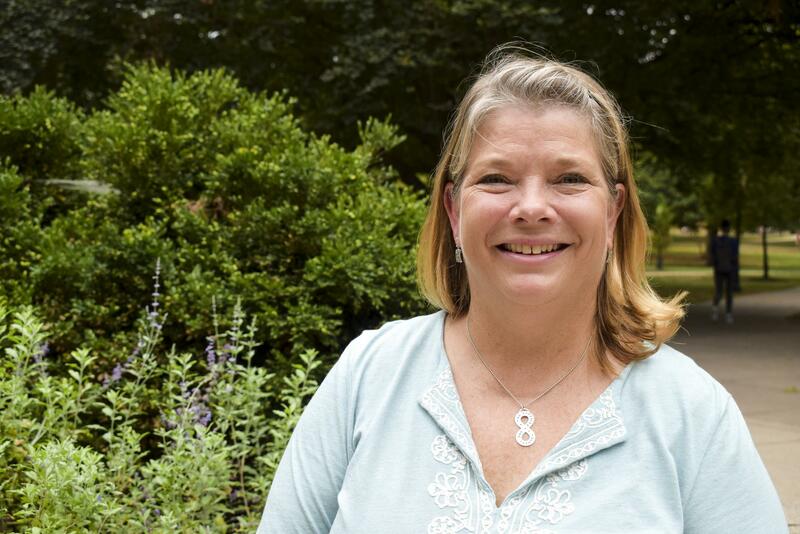 “We want to have a truly trans-disciplinary definition of water, and that provides a place for fine arts and humanities as well as the traditional sciences,” she said. Civic engagement and working with community partners are also goals. Whether or not Bloomington-Normal needs to seek additional water supplies might prove one question the sustainability center explores. “And if we need that, what does it look like? What are the options available? How do we garner community support for that? How do we improve conservation efforts?” Brehm said.